All calls that I offer are made by me, one at a time. 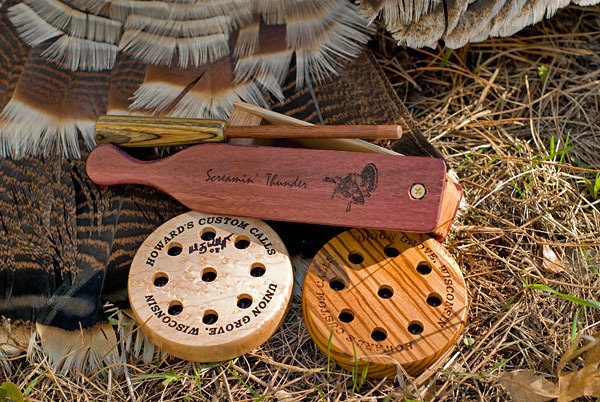 Like I said, my passion is hunting turkeys with my bow and being able to call them in with my calls. 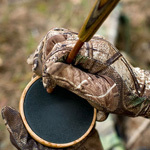 These calls work, or your money back. 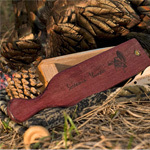 My box call is a field grade model with base and paddle made of purpleheart. The sides and end caps are mahogany. 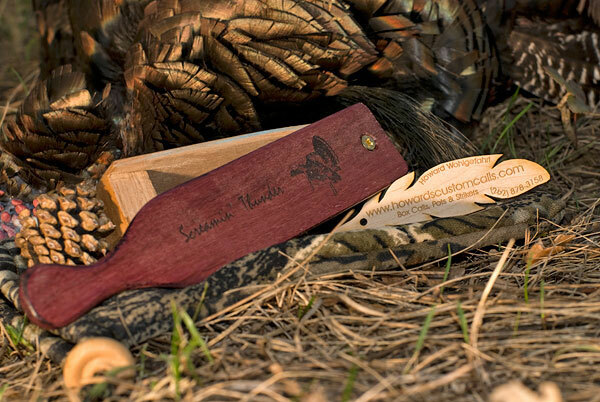 Each has a satin hand rubbed finish. 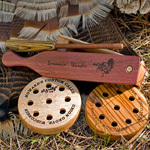 This is a great sounding box call with a real rasp to it. Call me for pricing of custom engraving to really personalize your box call. The glass and slate calls are turned from walnut, but I have many different types of woods if you desire something different. Just let me know. 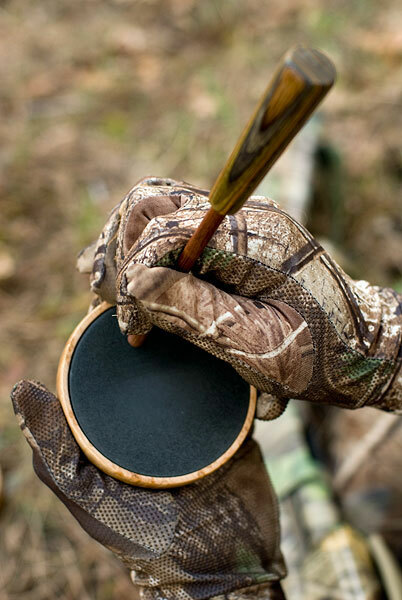 The glass call is a little higher pitch than the slate, but either call will produce any call needed to bring that gobbler in. 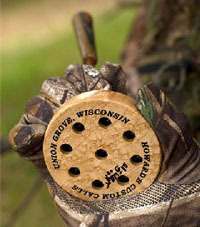 Each call comes with a two-piece matched striker. I can turn one-piece strikers also if you are looking for something different. Call or e-mail me and I will set you up with the call you want. Also, check back from time to time, as I will be adding items. I turn out some pretty locator (crow) calls also.